When you buy some things, like toothpaste, you're not locked in. Next time, you can get a different kind. But when you buy new tires in Burke, VA, you drive with that decision every single day for years. Modern vehicles are solid, loaded with safety features, and packed with computerized gizmos of all sorts. But all this takes a backseat to your tires, because they are the only thing between you and the road, you and your brakes, and you and a pointless accident. When you buy new tires in Burke, VA, take some time beforehand to investigate your new tire options. 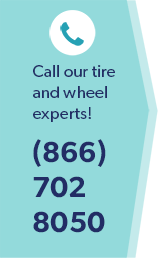 Chances are pretty good that tire technology has changed since the last time you bought new tires, or maybe you purchased a new vehicle with original equipment (OE) tires that may have been custom-manufactured for your vehicle make and model. Whatever the case, buying new tires in Burke, VA today is radically different than it was even 5 years. Take the internet. You can buy anything on the internet - even new tires. Shipped right to your door. But then, have you felt the tire tread? Do you know the way they handle when you drive your car? How will your car handle differently with these strange, new tires? Do you know how they were constructed? What is their maximum load? Does that really matter with new tires? Burke, Virginia motorists need to know. You need to know all kinds of things about tire production, tire safety, and what new tires will be best for your vehicle. If you like your old tires, and can purchase the same brand and model of tire, then do. Oftentimes when Burke residents are researching new tires, they learn the OE tires are beyond their budget. Luckily, tire manufacturers make multiple tire brands for the same vehicle, ranging from economy tires up to high or ultra-high performance tires. No matter the make and model of your vehicle, or the new tires in Burke, VA that meet your criteria, we can take care of every tire safety and auto service you may need at Wiygul Automotive Clinic - your local full-service auto service center. With factory-trained ASE-Certified mechanics and an on-site Virginia state vehicle Inspection Center, the talented professionals at Wiygul Automotive Clinic will mount and balance your new tires in Burke, VA while meeting your every service expectation to return you safely to the road (you know, on the road again?) with a smile.